Jung Da-bin revealed a picture taken with BTOB's Yook Sung-jae. Recently, Jung Da-bin revealed the photo on her Instagram. 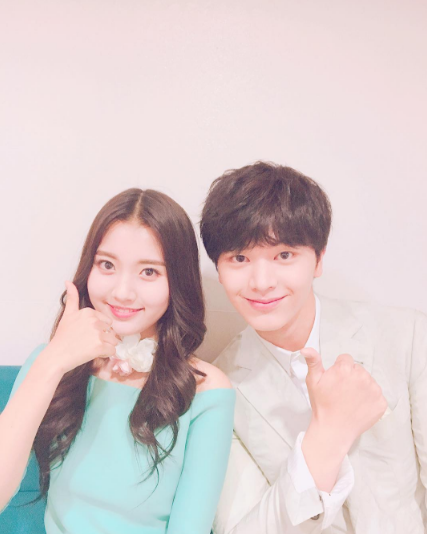 In the picture, Jung Da-bin and Yook Sung-jae are smiling happily with their thumbs up. The photo is catching attention as the two look like a loving couple. Meanwhile, Jung Da-bin appeared on the June 9th episode of KBS2TV's "Happy Together 3."